The first in a series of musical installments from singer Mandy Patinkin and pianist/producer Thomas Bartlett, Diary: January 27, 2018 was recorded by the two musicians in Bartlett's New York studio. The ten tracks of this first Diary entry include songs by Randy Newman, Rufus Wainwright, Loudon Wainwright, Teitur, Marc Bolan (T. Rex), Stephin Merritt (The Magnetic Fields), and Marc Anthony Thompson (Chocolate Genius). 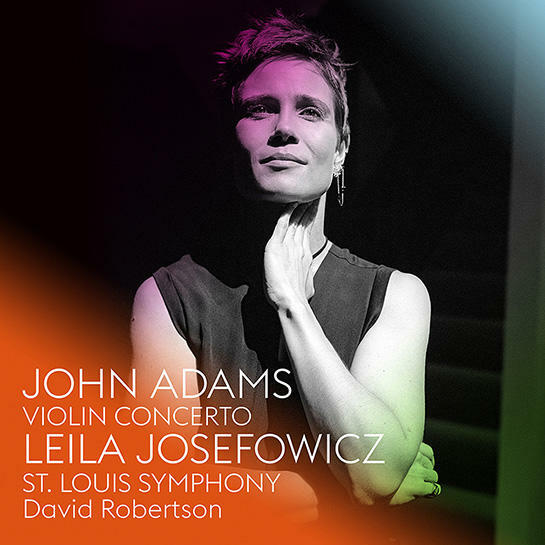 This recording of John Adams's Grawemeyer Award-winning Violin Concerto was made with his frequent collaborators violinist Leila Josefowicz, conductor David Robertson, and the St. Louis Symphony Orchestra at Powell Symphony Hall in St. Louis in 2016. The piece features Adams's usual "intelligence, craftsmanship, and quirkiness," says the Boston Globe, and "mingles virtuoso show with soul." 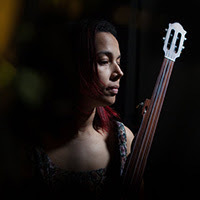 Rhiannon Giddens spoke with NPR's All Things Considered about her MacArthur Fellowship, the role of the banjo in her work, and her latest album, Freedom Highway, from which she also performed two songs. The International Rescue Committee has named Mandy Patinkin an IRC Ambassador, in recognition of his continued efforts to advocate for the welcoming of refugees around the world. "Meeting with refugees from all around the world has made one thing very clear to me," he says: "all they want is a better tomorrow for their loved ones, their family, their children." 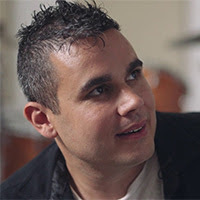 Rostam has shared a video in which he deconstructs the title track to his debut album, Half-Light, part by part, instrument by instrument, vocal track by vocal track, both his and those of featured vocalist Kelly Zutrau of Wet. Congratulations to Pat Metheny, who will receive the PRS for Music Gold Award at the Jazz FM Awards in London next Monday. 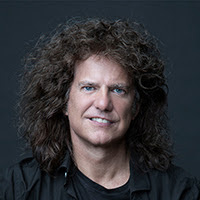 Metheny begins a European tour in late June. Record Store Day, the international celebration of record shops, takes place tomorrow. They’re offering a limited edition Sound Prints 7" vinyl 45 featuring two new tracks! 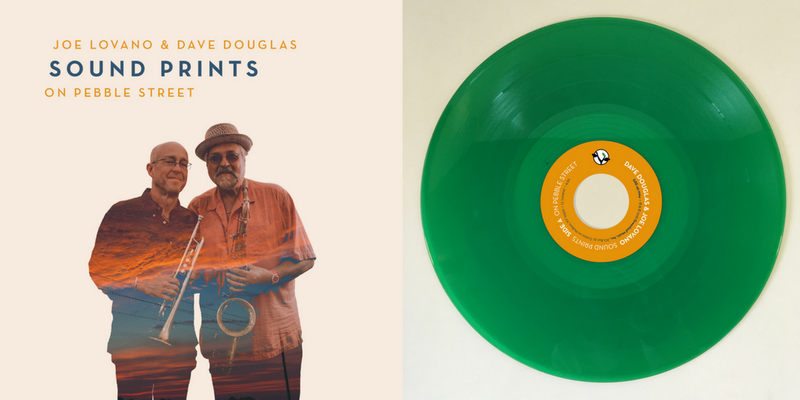 Available on emerald green vinyl (download card included), this unique disc will certainly be a collector’s item for serious music fans. 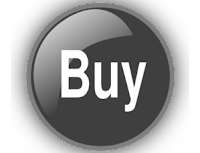 Click below to find out how to get your copy! Celebrating the recent release of the group’s second CD, Scandal, Sound Prints will be touring Europe May 5-13. And check out our new Bandcamp store featuring all of our releases, subscriptions, merch and more. 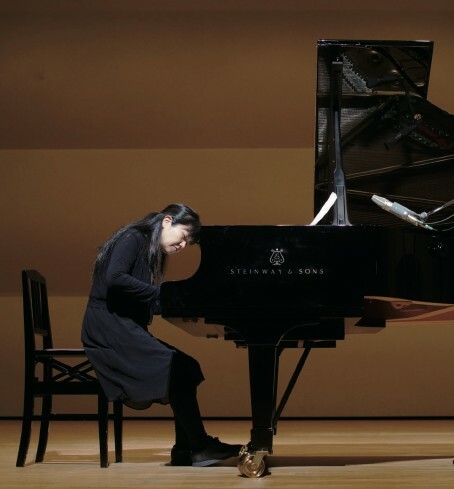 Pianist-composer Satoko Fujii explains that in Japanese, the name of this collaborative quartet, Kira Kira, means to sparkle or twinkle brilliantly. And that’s just what the music does on the band’s live recording Bright Force (Libra, April 27, 2018). Fujii, trumpeter Natsuki Tamura, Australian keyboardist Alister Spence, and drummer Ittetsu Takemura form an incandescent group whose performance flashes powerfully with brilliant ideas, color, and feeling. The band is an outgrowth of a long musical relationship between Fujii, Spence, and Tamura. They first met in 2008 when Spence’s trio shared a bill with Fujii’s ma-do quartet in Sydney, Australia. In the ensuing years, Spence and Fujii performed as a duet in Australia and later in Japan on a tour that also included concerts with Fujii’s orchestras in Tokyo, Nagoya, and Kobe. In 2016, Australians Spence and drummer Tony Buck of The Necks joined their Japanese companions to form Kira Kira. The Melbourne Jazz Festival commissioned new compositions from band for their appearance at the festival that year. “We had so much fun that we wanted to play the compositions again in Japan,” Fujii says. They scheduled a tour of Japan in 2017, but a scheduling conflict prevented Buck from making the trip. Tamura suggested 32-year-old Takemura, whom he knew from working in the Fumio Itabashi band, to replace him. “We were all curious to see how differently the music would turn out with a different drummer,” Fujii says. Happily, the music turned out so well they decided to release it on CD. One of the album’s many delights is hearing how distinctive each composer’s contribution is and how the band members bring it to life. Spence’s “Because of the Sun” starts the album with a focused burst of shimmering energy. Fujii, Spence, and Takemura entwine in a roiling skein of sound that forms the basis for a carefully shaped piano solo from Fujii and some high-note pyrotechnics from Tamura. Tamura’s “Nat 4” is just as explosive as Spence’s piece, but utterly different. Tamura’s written melodies are bold and declamatory and when he solos, his high notes leap into the Louis Armstrong stratosphere. In his solo, Spence proves himself a melodic improviser prone to unpredictable turns of phrase as well as a shaper and constructor of highly detailed electronic sounds. The quartet shapes and reshapes the music, ranging from passages of rapid-fire exchanges of short spikey phrases to avant-rock episodes to slow, spacious, glimmering sections. The three-part “Luna Lionfish” is a Fujii composition full of surreal juxtapositions and sharp contrasts that some how cohere into an organic whole. And while the band engages in close collective interplay while negotiating all the composition’s twists, there are also powerful individual solos as well. Tamura takes a wildly expressive muted solo on the second part; Fujii’s unaccompanied solo forms a bridge between the second and third parts; Takemura’s taut, exciting, and melodic drum solo is a highlight of part 3, and Spence is in the center of the action, adding color and texture to ensembles and matching wits in duets with different members of the band. Fujii’s unprecedented birthday bash continues in May with the release of Triad (Long Song Records), which showcases a one-time trio with Italian soprano saxophonist Gianni Mimmo and American bassist Joe Fonda. The summer months start to heat up in June with 1538 by This Is It!, a trio featuring Fujii with Tamura on trumpet and Takashi Itani on percussion. Later in the year, Fujii and bassist Fonda will follow up their acclaimed 2016 duo album with a new one. A new recording by Orchestra Tokyo and the debut of a new piano-bass-drums trio will also arrive. Other surprises and delights will be in store over the course of the year, in what is sure to be an unforgettable outpouring of musical riches. Keyboardist-composer Alister Spence is “utterly compelling,” according to Jazz Journal, UK, and the Sydney Morning Herald calls him, “The cutting edge of modern Australia defined.” His trio of 20 years’ standing has toured the world and released six acclaimed CDs. Japanese trumpeter and composer Natsuki Tamura is internationally recognized for a unique musical vocabulary that blends extended techniques with jazz lyricism. He leads Gato Libre, a quartet that features Fujii on accordion, and performs as a duo with Fujii as well as in many of her other projects ranging from trio to orchestra. Ittetsu Takamura is a versatile young drummer who can not only hold his own in a band like Kira Kira but also works regularly with saxophonist Sadao Watanabe. Critics and fans alike hail pianist and composer Satoko Fujii as one of the most original voices in jazz today. She’s “a virtuoso piano improviser, an original composer and a bandleader who gets the best collaborators to deliver," says John Fordham in The Guardian. 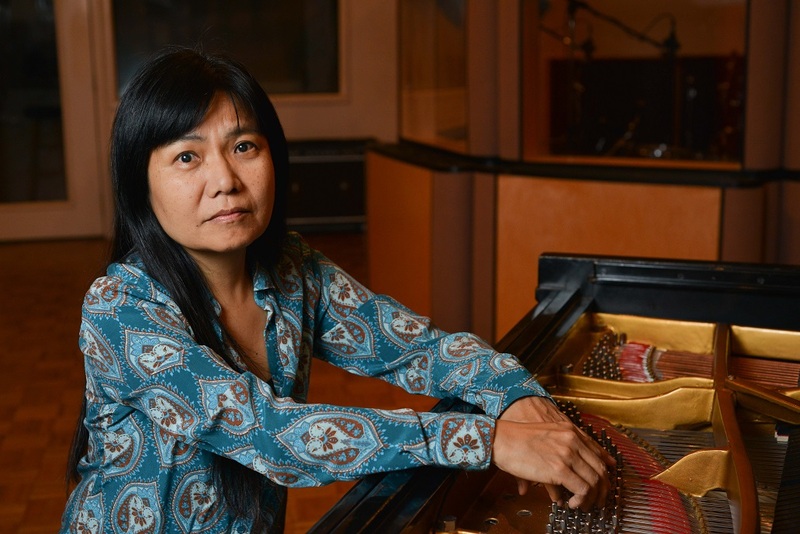 In concert and on more than 80 albums as a leader or co-leader, she synthesizes jazz, contemporary classical, avant-rock, and Japanese folk music into an innovative music instantly recognizable as hers alone. 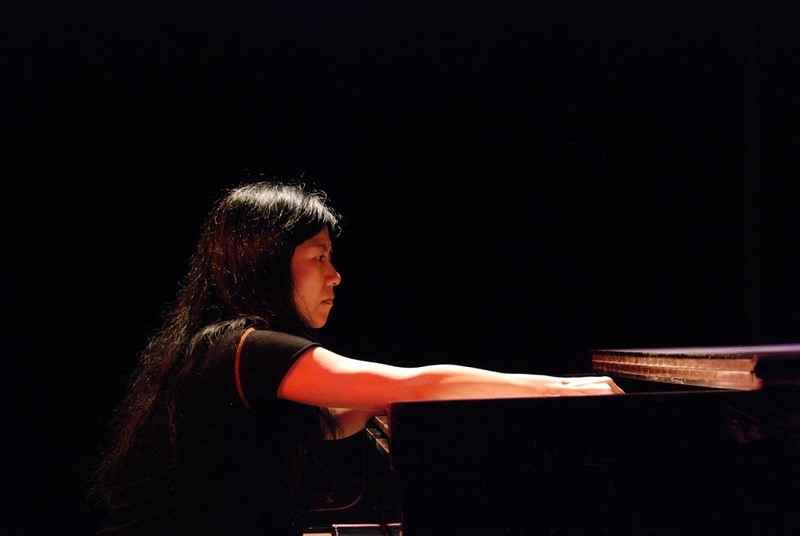 Over the years, Fujii has led some of the most consistently creative ensembles in modern improvised music, including her trio with bassist Mark Dresser and drummer Jim Black, the Min-Yoh Ensemble, and an electrifying avant-rock quartet featuring drummer Tatsuya Yoshida of The Ruins. Her ongoing duet project with husband Natsuki Tamura released their sixth recording, Kisaragi, in 2017. Mike DeiCont and Allison Philips share the captain’s seat as they navigate their band of jazz renegades through their expansive repertoire of original compositions and arrangements of traditional tunes. Their double drum team of Alex Kirkpatrick and Connor Parks create a malleable foundation that is truly unpredictable - and with noise-maker Louis Cohen on guitar and pedal steel, the ensemble is comfortable whispering lullabies or pushing the limits of the human experience. Based between Brooklyn and Amsterdam, this Flea Boy Records collective carves out their own sonic space in the world of original and improvised music. Their debut recording, featuring original music from both DeiCont and Philips, will be released in April 2018. Allison, a founding member of the Flea Boy Records team, grew up in New Jersey and quickly became a prominent voice of the New York City jazz and improvised music community. After graduating from The New School, Allison moved to Amsterdam, where she attended grad school. 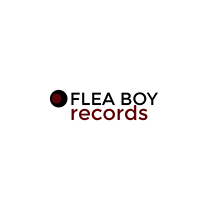 Very quickly upon arrival she become an in demand performer, community builder, curator, and found herself at the helm of the Flea Boy Records team. 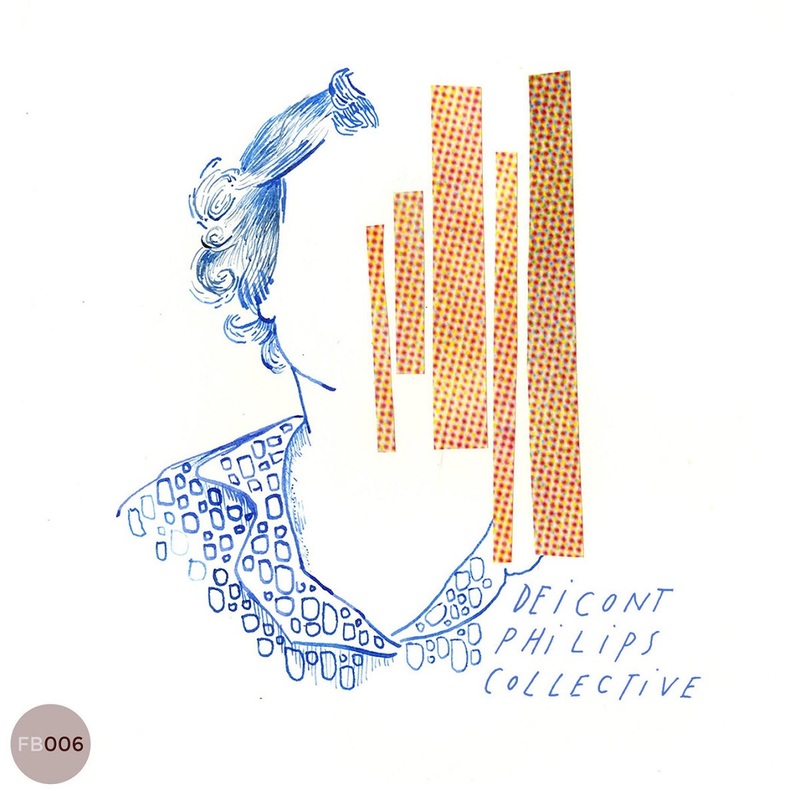 Since her move to Amsterdam, Allison regularly returns to New York to perform with her own trio, DeiCont Philips Collective, and Sara McDonald’s New York Chillharmonic. 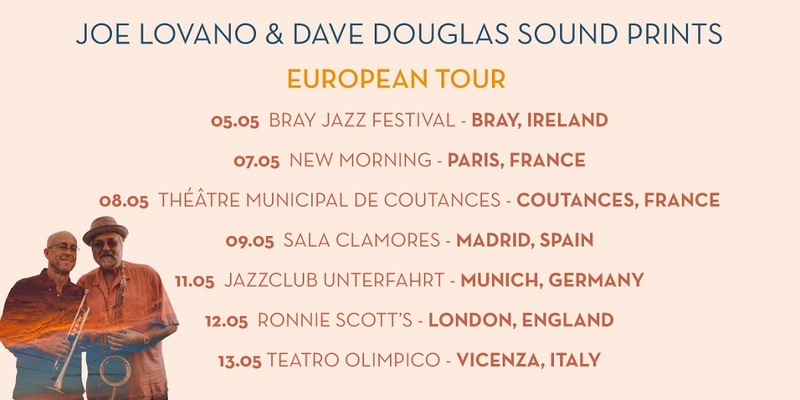 Allison was a featured performer on Dave Douglas’ 2017 Festival of New Trumpet Music. Three of five members, Mike DeiCont, Louis Cohen, and Alex Kirkpatrick perform regularly with their trio Desert Foxx, another Flea Boy Records project. Their debut record “Kill Together”, mastered by the mighty David Torn, features original music from DeiCont - short, dark, and simple launch pads for the trio’s perfectly placed, brief improvisations will bring a tear to your eye, or even ruin your day. Their dark, brooding sound is toned down, or at least nudged off axis with the often charming and playful musicality of Allison Philips and Connor Parks (drums). 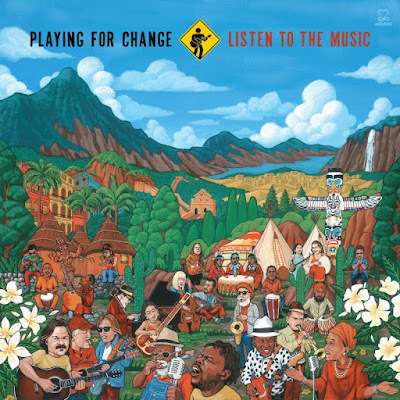 WATCH "LISTEN TO THE MUSIC"
Playing for Change united musicians from around the globe with one singular vision -peace through music - for their most far-reaching album of Songs Around the World yet!